You may have already read that Tactical Concealment built the ghillie suits used in Act of Valor (see Tactical Concealment on SSD). They are very well known in shooter circles for the quality of their kit. That isn’t hype or bs, I’ve talked to several guys who use nothing else. 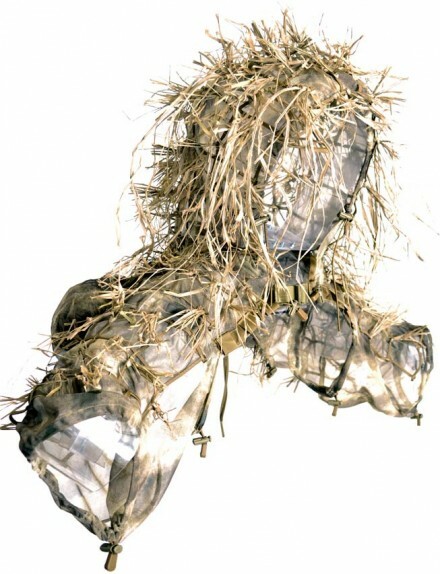 Tactical Concealment essentially builds various “signature management” foundations for various uses, from full-blown ghillie suits to hoods and chaps and everything else. A recent offering from TC addresses those who require more limited signature management. It’s designed for use folks who require some outline work but don’t want to wear the entire thing (like assaulters, as mentioned, or members of LE tracking teams, or perhaps LE K9 units in a rural area…or even just MilSim shooters who want to get close to their target). The piece in question is the Tactical Concealment Viper. It comes in two forms, standard and “Mosquito”. The latter is built of a new material that substantially decreases weight (you can, in fact, put it in a BDU pocket). Note: you’re going to pay for this. It’s high end stuff meticulously made for guys and girls on the sharp end by a very small staff. If you’re looking for something less expensive, no worries, but this won’t be it. You get what you pay for. I have some Tactical Concealment gear and believe me, it’s solid and built to last. Go like ’em or friend ’em or whatever you call it on Facebook, right now, and tell ’em TANSTAAFL of Tactical Fanboy sent ya. You won’t get anything for doing so, but it will make me look good.